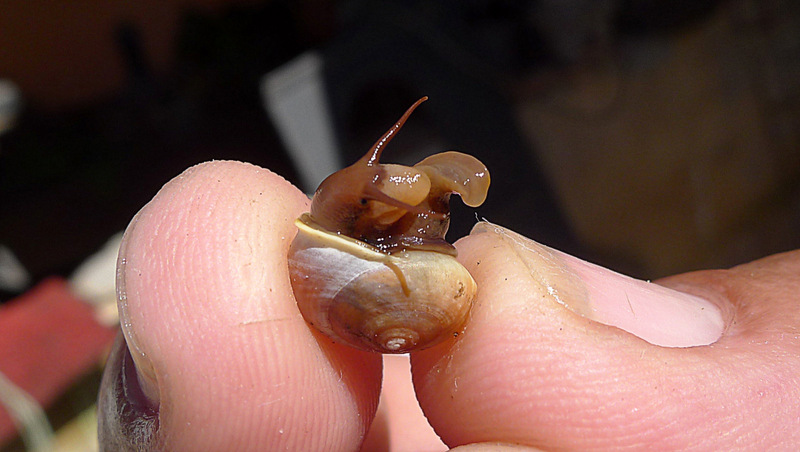 Recently Alex Popovkin send me some new photos of snails he found alive during his botanical wanderings. As always these pictures don’t allow for definite identifications, but here is my best guess. A Rectartemon species, possibly R. iguapensis (Pilsbry, 1930) or R. piquetensis (Pilsbry, 1930). This entry was posted in Uncategorized and tagged brazil, helicinidae, streptaxidae on May 28, 2015 by bramb. This post is about some recent new papers, very mixed with subjects related to the Neotropics. 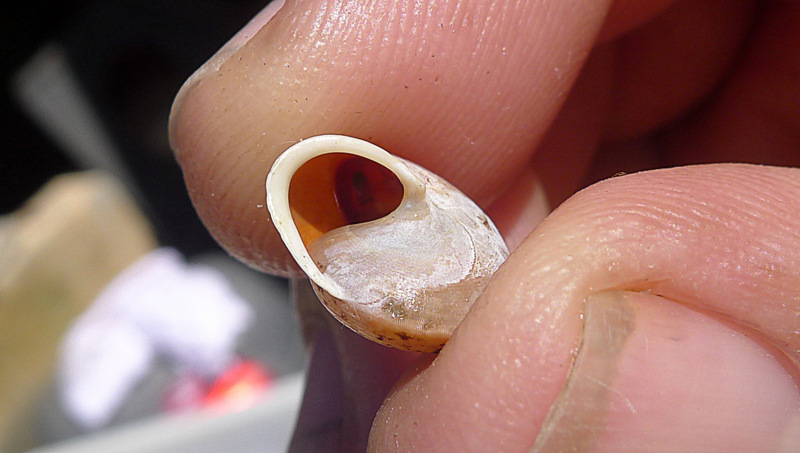 The first one is a brief paper with a new species of Cyclodontina from Brazil by Salvador & Simone (2014), viz. C. tapuia from Bahia, Bom Jesus da Lapa. 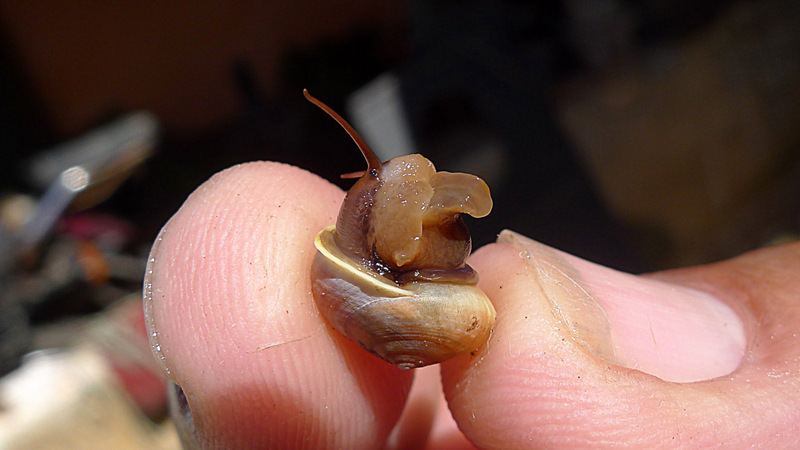 Araya (2015) just published an update on invasive snails in Chile. 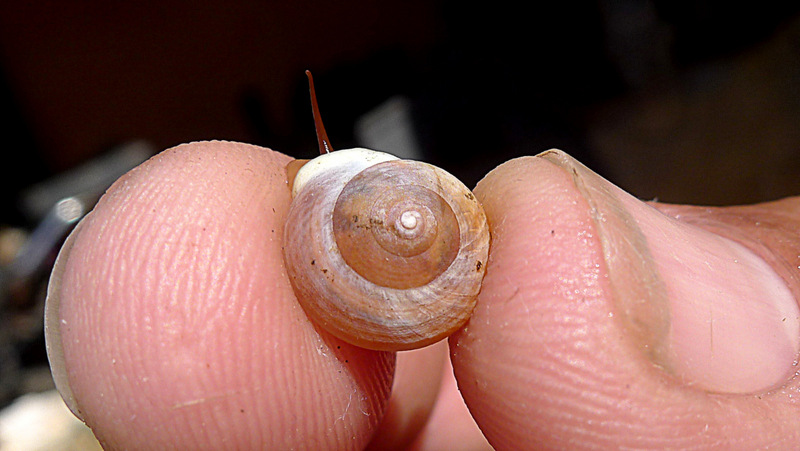 The abstract reads: “A new introduced species, Otala punctata (Müller, 1774) and new records in Chile for Cornu aspersum (Müller, 1774) and Deroceras laeve (Müller, 1774) are documented based on surveys carried out in northern and central areas of the country. The presence and distribution of these alien species are complemented with a comprehensive compilation of all 34 non-indigenous species of marine, freshwater and terrestrial Mollusca in Chile; until 1999, only 16 alien species were known in Chile. Most of these alien species are found exclusively in transformed habitats, few exist in natural environments. The mechanism of introduction for the majority of these non-indigenous species is unknown; however, horticultural development, urban and suburban transformation of original natural habitats, and the aquarium trade are the most likely pathways of introduction. 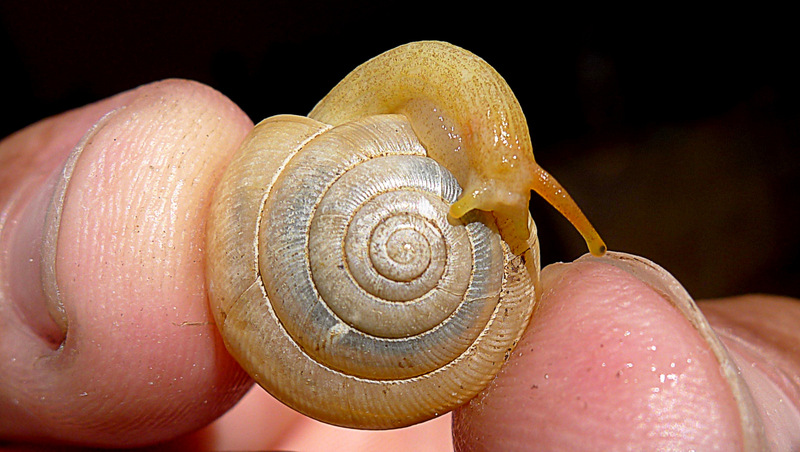 The highest threat of alien species is direct competition and predation of native molluscs, especially the small native land gastropods. Education and continuous field surveys are vital to detect and prevent their propagation as well as to avoid introduction of additional alien taxa”. Finally, there is a brief paper by Hausdorff (2015) who shows that misidentifications can lead to faunal misallocations, in this case a Neotropical Bulimulus species was classified as a Palearctic Enidae. Araya, J.F., 2015. 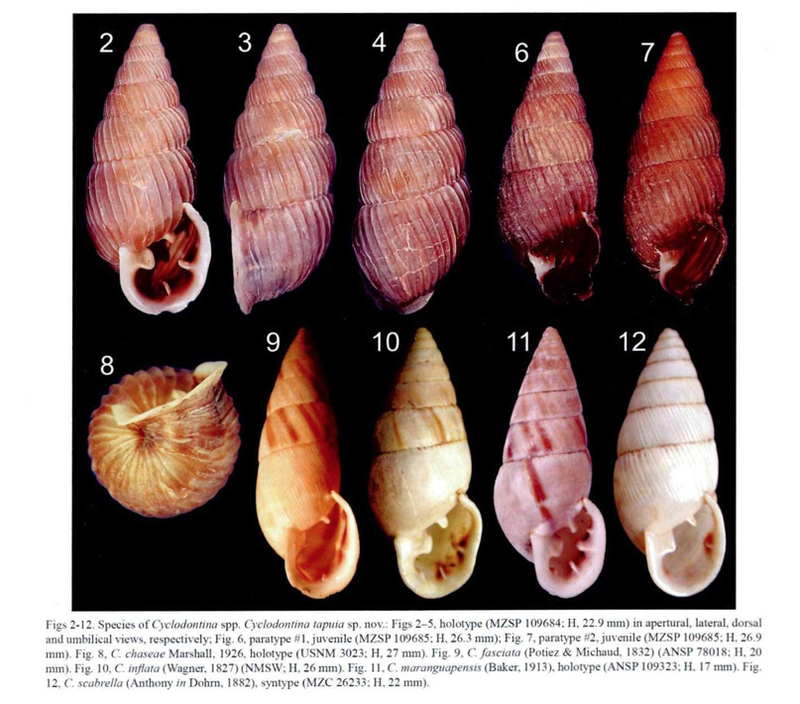 Current status of the non-indigenous mollusks in Chile, with the first record of Otala punctata (Müller, 1774) (Gastropoda: Helicidae) in the country and new records for Cornu aspersum (Müller, 1774) and Deroceras laeve (Müller, 1774). – Journal of Natural History (advance online access: http://dx.doi.org/10.1080/00222933.2015.1006703). Hausdorf, B., 2015. 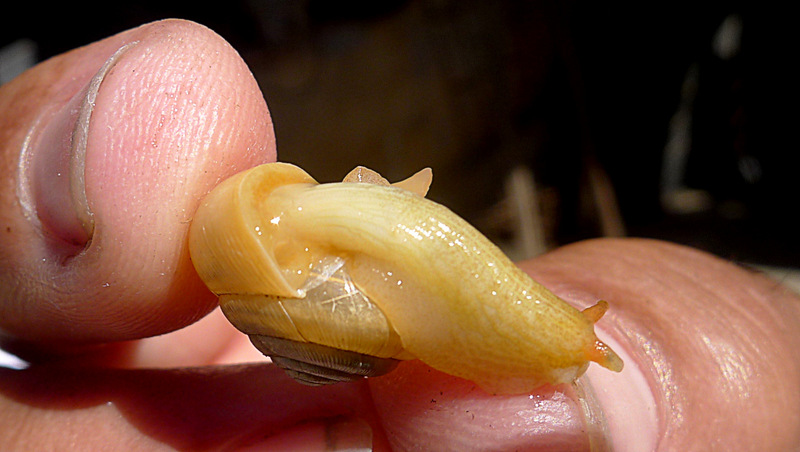 The supposed Transcaucasian endemic Adzharia renschi Hesse, 1933 is a South American Bulimulus species (Gastropoda, Bulimulidae). – Malacologia 58: 363-364. Salvador, R.B. & Simone, L.R.L., 2014. 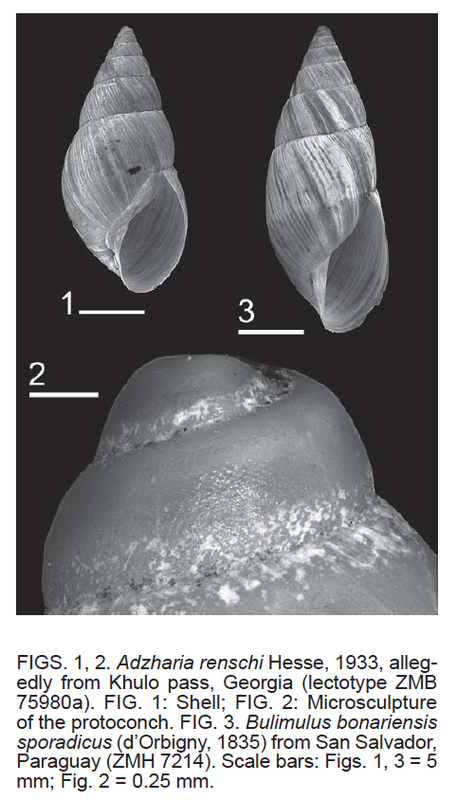 New species of Cyclodontina from Bahia, Brazil (Gastropoda, Odontostomidae). – Iheringia Zoologia 104: 484-487. This entry was posted in Uncategorized and tagged brazil, bulimulidae, chile, helicidae, literature, odontostomidae, types on May 13, 2015 by bramb. The Brazilian state of Tocantins is relatively less-known, partly due to being a split-off of Goiás state. Since its Cerrado domain has been poorly studied, a paper by Salvador et al. (2015) is a welcome addition to our knowledge. 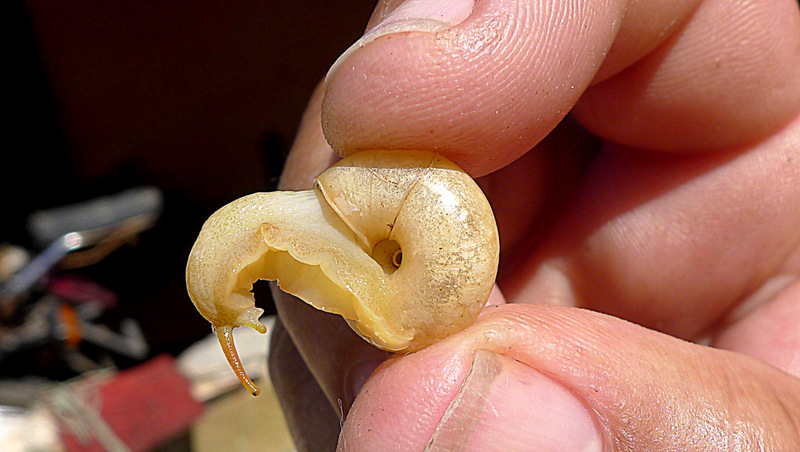 A sample of land snails, mainly pulmonates, was recently collected in southeastern Tocantins state, Brazil, close to the border with Bahia state. The following species were found in the material, all of them are reported for the first time from Tocantins: Helicina schereri (Helicinidae); Solaropsis fairchildi and Solaropsis rosarium (Camaenidae); Anostoma rossi, Cyclodontina cf. gemellata and Cyclodontina sectilabris (Odontostomidae); Drymaeus poecilus and Naesiotus carlucioi (Bulimulidae); Streptaxis luetzelburgi (Streptaxidae); Megalobulimus conicus (Strophocheilidae); Beckianum cf. beckianum (Subulinidae). Additionally, Drymaeus dakryodes sp. nov. is formally described herein. 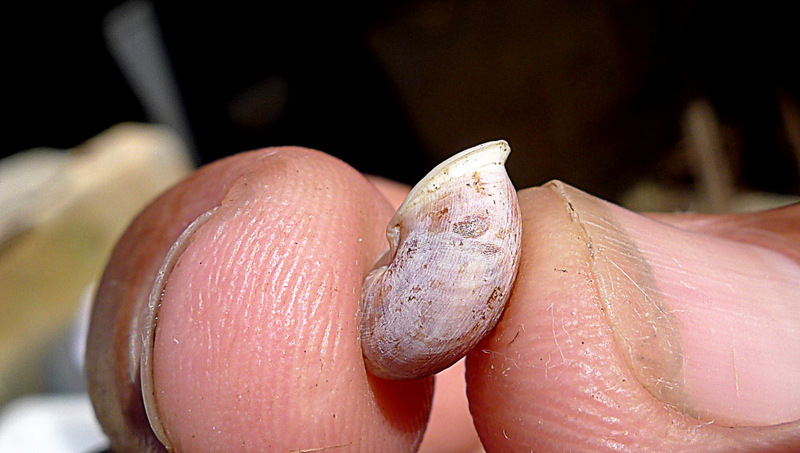 The new records and species addressed here constitute important findings, helping to fill distributional gaps and improving the knowledge of the local molluscan fauna. This is an essential step for future conservation efforts. The new Drymaeus species was found at Taguatinga, 12º21’54”S 46º21’39”W, ~870m. The holotype (fig. 15-16) is MZSP 114874. The specimen of Beckianum beckianum is a sinistral shell, and other sinistral specimens have been reported from Central America. Salvador, R.B., Cavallari, D.C. & Simone, L.R.L., 2015. 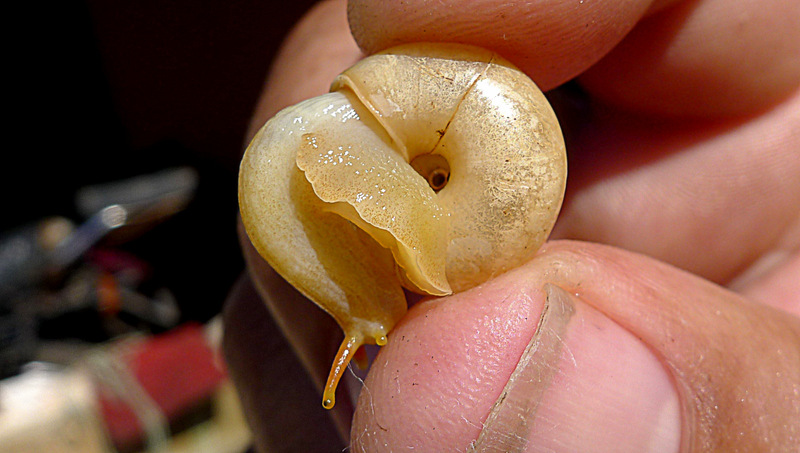 Taxonomical study on a sample of land snails from southeastern Tocantins State, Brazil, with description of a new species. – Journal of Conchology 42: 67-78. This entry was posted in Uncategorized and tagged brazil, bulimulidae, Camaenidae, drymaeus, helicinidae, odontostomidae, streptaxidae, strophocheilidae, subulinidae, taxonomy, types on May 8, 2015 by bramb. I asked Ira Richling, specialist for this group, for an opinion about its identification; she told me “the most likely match I came up with would be Proserpinella cousini (Jousseaume, 1887), now perhaps better in the genus Archecharax”. Many thanks to both ladies for sharing this interesting information. This entry was posted in Uncategorized and tagged ecuador, Proserpinidae on May 7, 2015 by bramb.